We welcome membership applications from both public and private transport companies. These can include bus and coach travel, boats, airlines, taxi companies, chauffeurs services, tour guides, rail companies and transport hubs themselves. If you would like more information on membership email Faye Batchelor, faye.batchelor@destinationbristol.co.uk and to apply for membership please CLICK HERE. 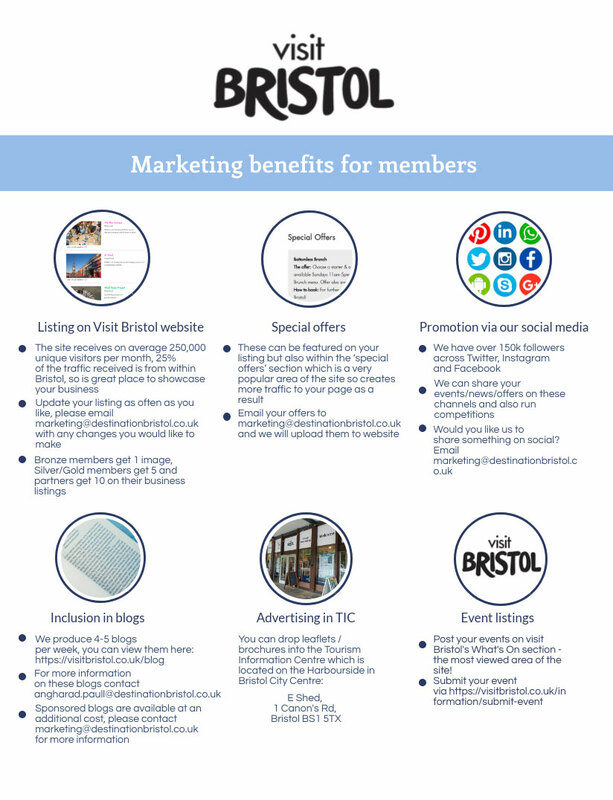 You can also find out more about Destination Bristol membership benefits here. The following membership fees are for travel and tour businesses only. Membership fees are valid until 31st March 2020 and are subject to VAT.